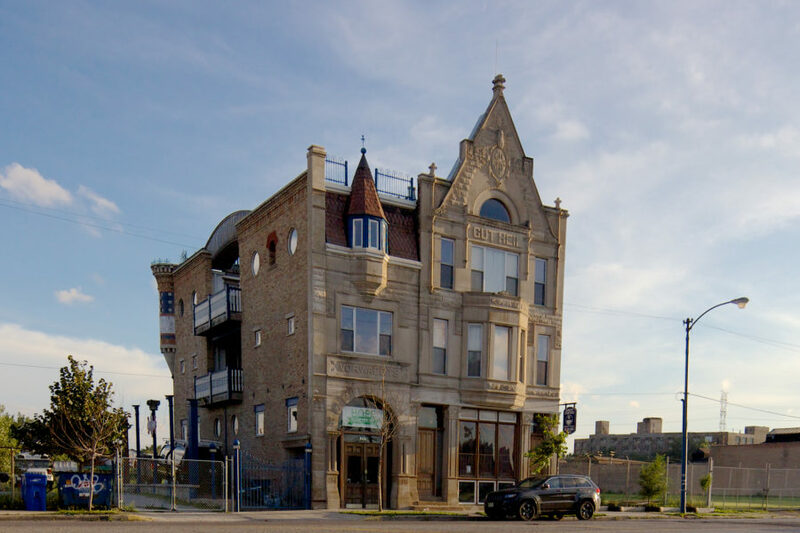 At Roosevelt and Western is Vorwaerts Turner Hall, a castle-like structure which stands as one of the few remnants of a former German neighborhood on the Near West Side. 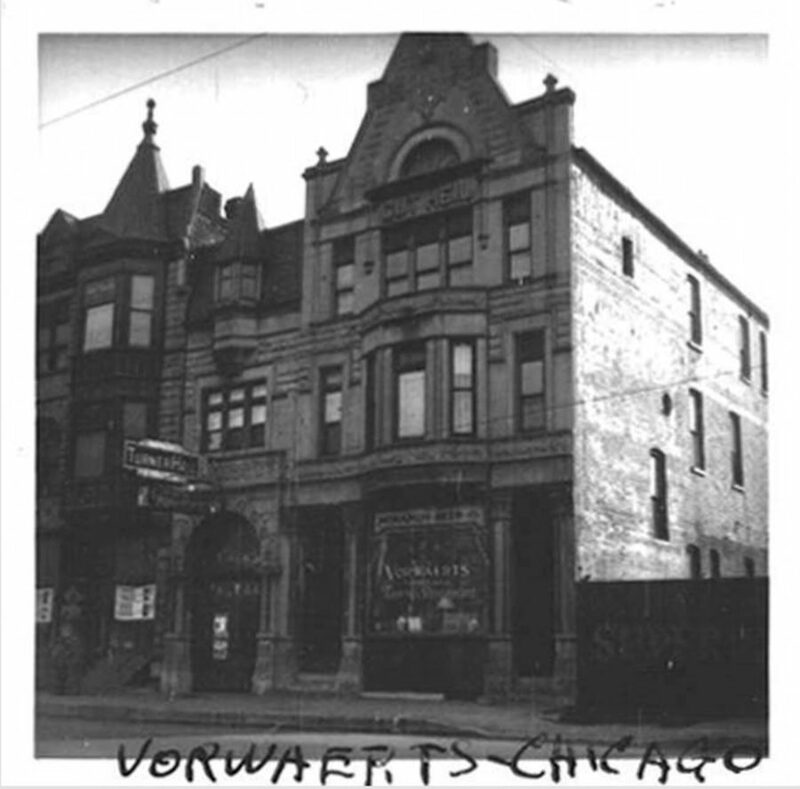 There were once dozens of Turner Halls all over Chicago, but Vorwaerts is one of only two that remain in the city. This mysterious looking building is a living artifact of a group that began in Chicago 164 years ago, and continues the same traditions today. The Turnverein (German for “gymnastic union”) is a gymnastic movement founded in Germany during the time of Napoleon’s occupation. The founder of the movement, Friedrich Ludwig Jahn, believed that the key to resisting and defeating Napoleon was a physically fit and disciplined fighting force. He served as a commander of a volunteer force that was instrumental in defeating Napoleon’s army. After the war, he continued efforts to increase discipline and physical fitness in the German population. He would later invent fixtures of gymnastics still in use today: the balance beam, the horse, rings, parallel bars, and the horizontal bar. There were very few German immigrants in Chicago’s early history, until the German revolution of 1848. The liberal and middle classes (including large numbers of Turnverein) fought against the aristocracy for workers’ rights and reduced taxation and censorship. Their attempt was unsuccessful, and the result greatly impacted the demographics of Chicago and the country. The failed revolution led to an influx of educated and skilled immigration to America, particularly the Midwest. The national Turnverein formed in Cincinnati in the same year as the revolution (1848). 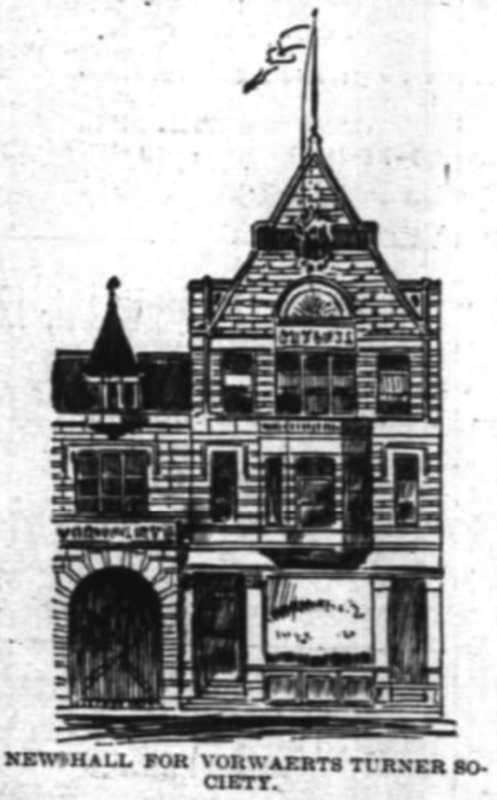 The first Chicago Turnverein formed a few years later in 1852. Though they embraced their German history with words and song, they were deeply patriotic for their new home in America. Turnverein proudly served in the Civil War and helped Lincoln get elected president. They also served as bodyguard for Lincoln during his inauguration, and later during his funeral. As many social clubs, the Turnverein formed in local chapters. 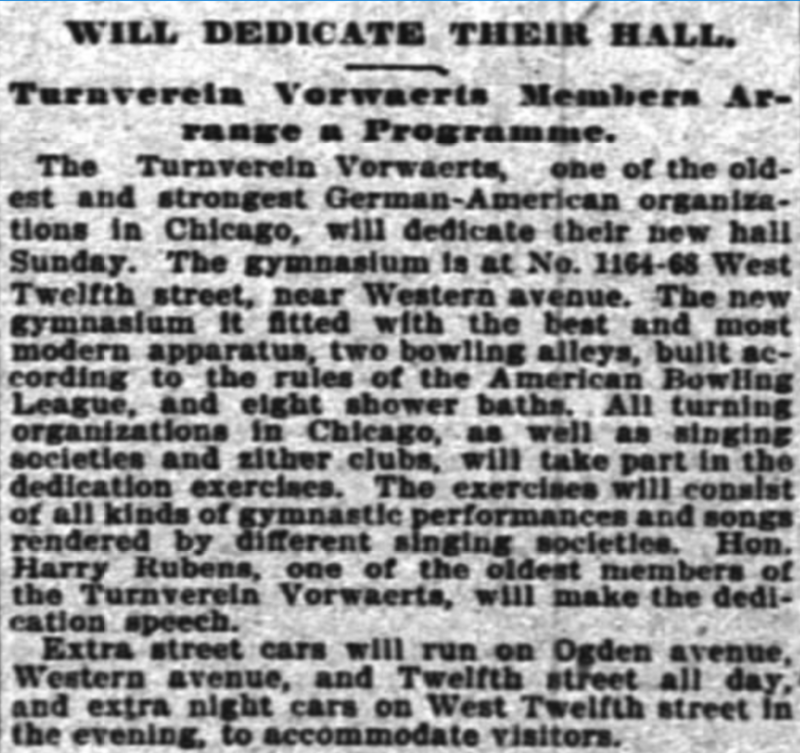 The Turnverein Vorwaerts (“Forward Turners”) first formed in 1867, and within the same year occupied a building on 12th Street (now Roosevelt). One eyewitness described the police as “a uniformed mob.” The raid led to a successful lawsuit by the furniture workers’ union that resulted in the condemnation of the police and the affirmation of workers’ right to peaceful assembly. The bad feelings generated by this incident became another cause of the mutual distrust that was part of the backdrop of Haymarket. In the 1880s another wave of German immigrants arrived in Chicago, many the result of an Anti-Socialist Law. 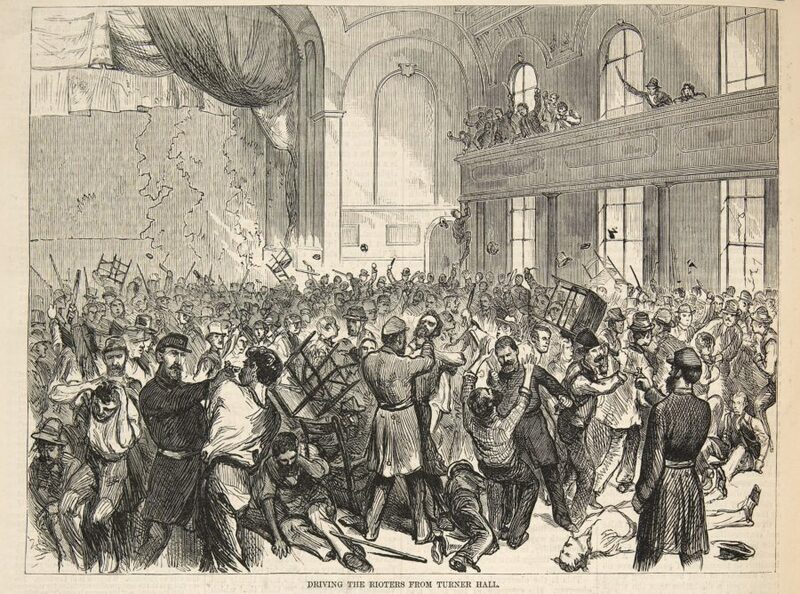 This led to a swelling in the ranks of Turners across the city, including the hall on 12th Street. In October 1896, it was announced in the Chicago Daily Tribune that a new building would be constructed for this growing movement. The building’s architect was George L. Pfeiffer, also a member and president of the Turnverein Vorwaerts. The Vorwaerts Turner Hall consisted of three buildings in one–two adjacent structures and a gymnasium in the rear that had 40-foot ceilings and a capacity of 1,000 people. The extra large front gable (above) is rich in artistry and symbolism. 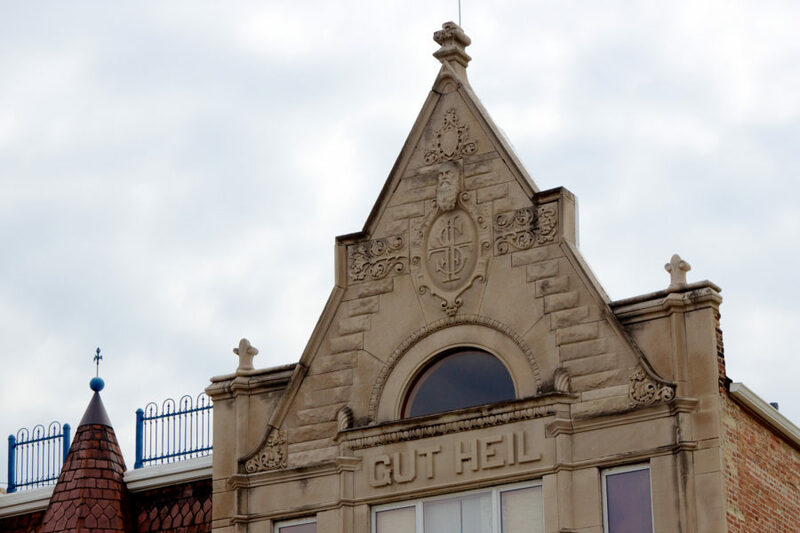 Most prominent is the phrase Gut Heil, translating as good health. It also features a cartouche with letters representing “Healthy, Upright, Strong, True.” The face appearing in the relief is Friedrich Ludwig Jahn, founder of the Turner Movement. Its early roots were focused on creating a population able to resist Napoleon’s occupying army, but over time evolved to promote general health and well-being among its members and the neighborhoods in which they lived. In 1884, Turner members of the Illinois District were responsible for introducing physical education classes into the Chicago Public Schools and provided the first instructors for these classes. In 1895, these Illinois Turners established the first playground in Chicago in Douglas Park and for many years the Turners provided the supervisors and directors for all the playgrounds in the Chicago parks. One of the parks located on the north side of Chicago is named in honor of Turner Theodore Gross who was the supervisor of the Chicago playgrounds for many years. Beyond their work to promote good health, facilities for leisure and recreation were part of the new building. 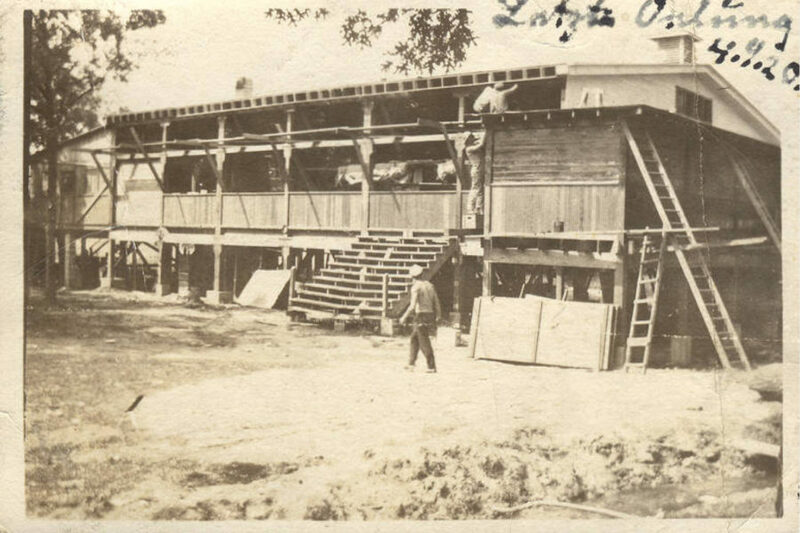 The Turner Hall contained two bowling alleys, showers, two bars (one for members and one for the public), and a two story residence for the building manager above the lower level. Around 1914, the Illinois Turner Camp opened to promote physical fitness and athletic instruction. The Turnverein Vorwaerts were one of original founders of the new camp. Gymnastics and physical fitness were central to the idea of Turner Camp, but it also served as a valuable retreat for Turners young and old. There are 267 cottages on the grounds, many of which have passed through generations of Turner families. The 1852 founding of Turnverein Vorwaerts was in part based on their staunch anti-slavery views, so it’s not surprising that the hall frequently hosted political activities that aligned with their liberal or socialist views. One group was the United Societies for Local Self-Government. 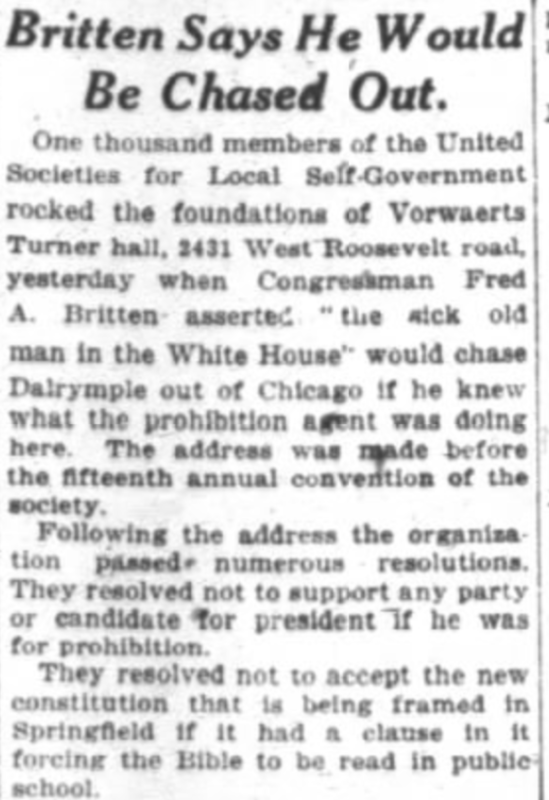 In the 1920 article above, it is noted that a near-riot occurred during the meeting between that group and Congressman Britten over the topic of prohibition. A meeting was called by the United Society for Local Self Government, to establish the battle program for individual liberty. 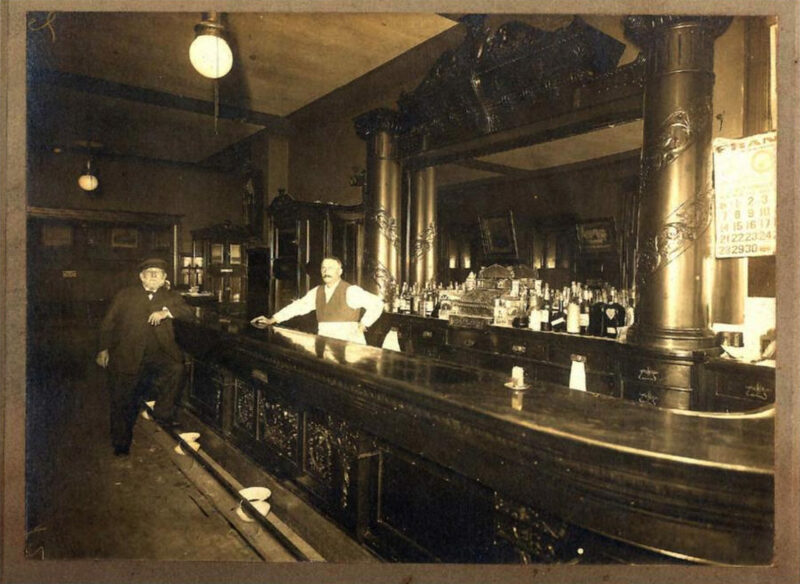 The propaganda made in the south by the Prohibitionists not only ruins the existence of the saloon-keepers and clubs associations, but menaces the activities of all immigrants, especially the Germans. This manifested again in World War Two, when in 1938 a band of vigilantes stormed the hall expecting to find Nazi sympathizers. Instead, they found people playing a basketball game. 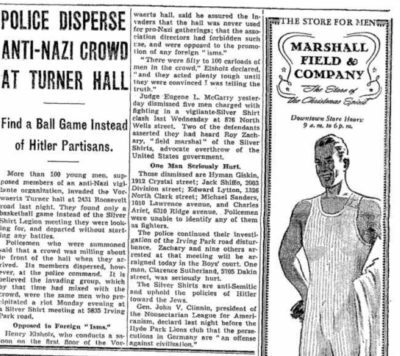 The Turners used the opportunity to state they were opposed to any foreign ideologies, and that pro-Nazi gatherings were forbidden. A long-held tenet of American Turnverein is integration into local society, and citizenship a requirement for membership. After the war, the Turnverein Vorwaerts changed their name to the English version of their name, Forward Turners. 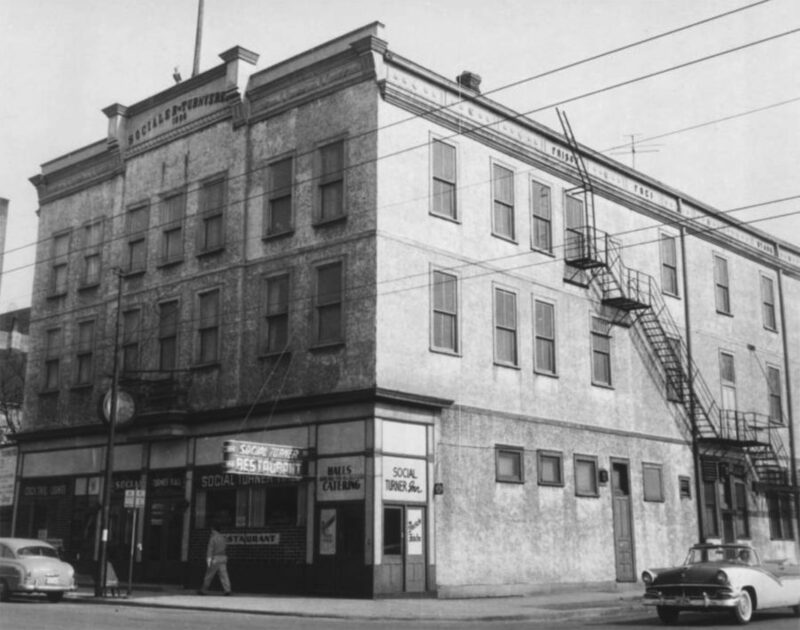 By the 1940s, the German immigrant population around Vorwaerts Turner Hall began to decline. Immigration stopped as a result of the war and earlier residents moved further out of the Near West Side. Membership in societies and clubs also declined rapidly, and the West Side Turner Hall saw fewer patrons and gatherings. The Forward Turners sold the hall in 1945. 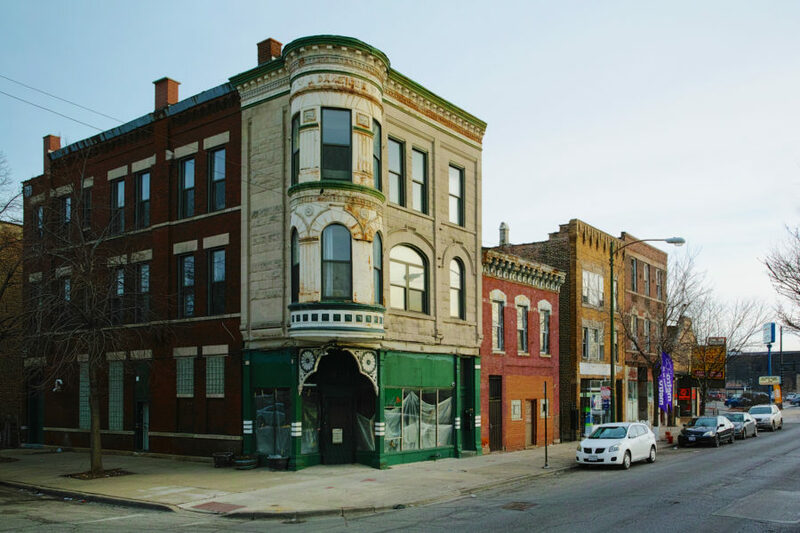 The Near West Side was once home to some of the earliest German immigrant communities, and this rapid influx of educated and skilled people created a bustling commercial district with ornately designed buildings. But today few architectural artifacts remain. Decades of neglect, segregation, and few employment opportunities contributed to the loss of commercial and residential infrastructure. Vorwaerts Turner Hall (above) once had a gymnasium behind the front two structures. The gymnasium was demolished in 2007. Just a few years ago a turn of the century commercial building across the street from Vorwaerts hall was demolished (above). Today it’s only a vacant lot. 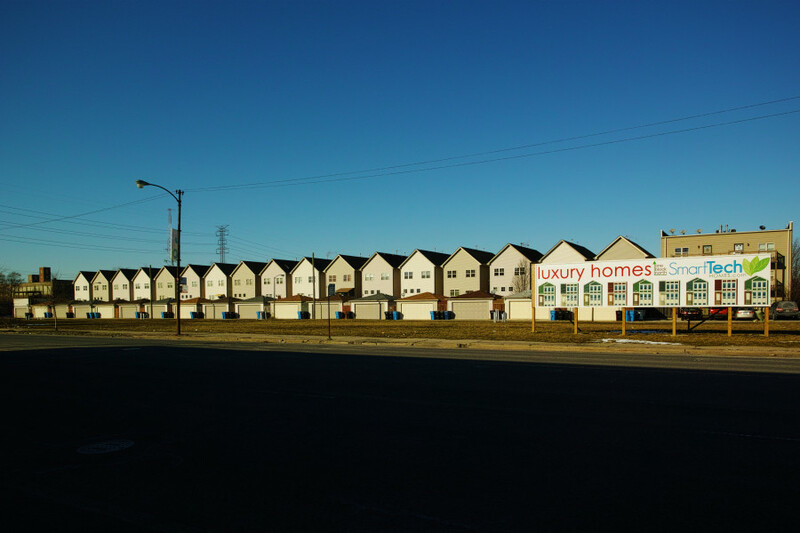 With new development appearing in nearby parcels, it may not be that way for long. 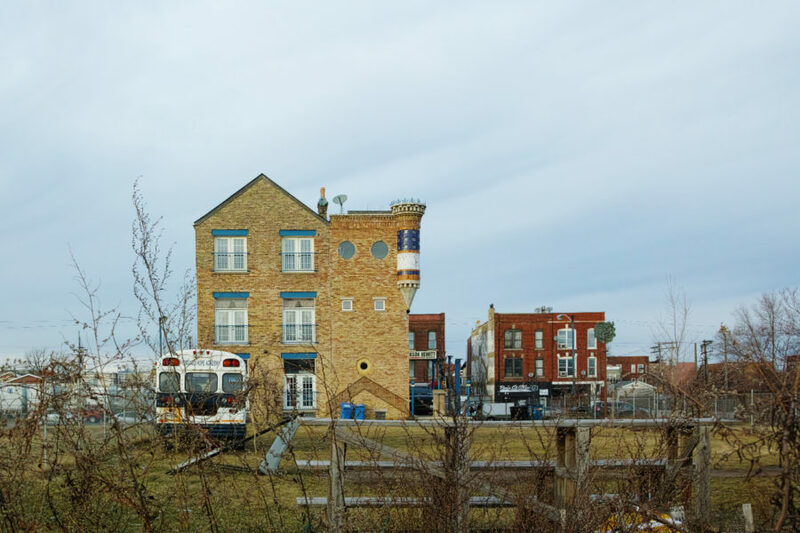 Demolition of buildings on the Near West Side left wide swaths of vacant lots. But the area close to downtown is rapidly changing as the area redevelops with new construction. The Forward Turners (as they became known then) sold the building in 1945. 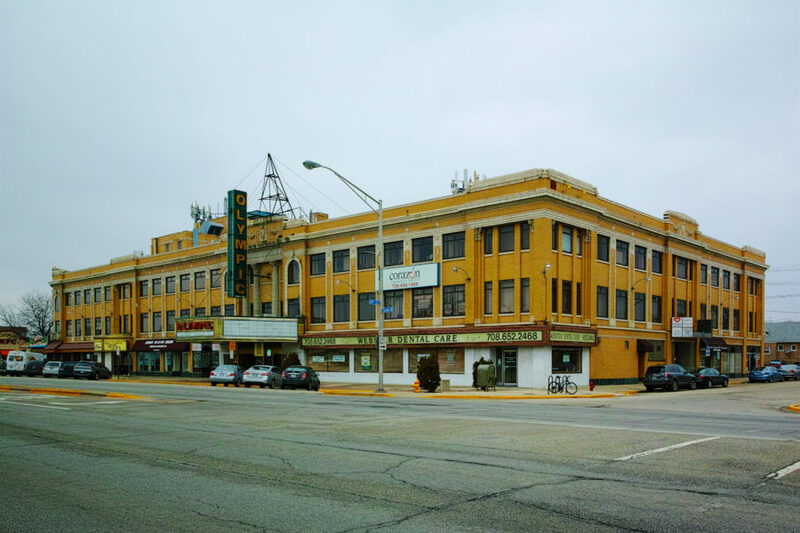 Without a permanent space, they rented facilities at 6100 West Cermak Road in Cicero. The building in Cicero was built for Sokol Slavsky in 1924. Sokols are a Czech youth and gymnastics movement with activities and traditions very similar to Turners. Sokol Slavsky lost the building during the Great Depression and after served as a ballroom and theater, and rented out space to groups like the Forward Turners. Though the space was well suited for the Forward Turners, it was only a temporary home. The 1950s were a time of upheaval for many social and fraternal organizations, especially for Turner Societies. Children and grandchildren of immigrants that formed these groups were leaving the old neighborhoods, and shared less interest in being a member of a Turner Hall. In 1954, the Forward Turners and other Turner groups held a series of meetings to discuss merging and a location for a new building. 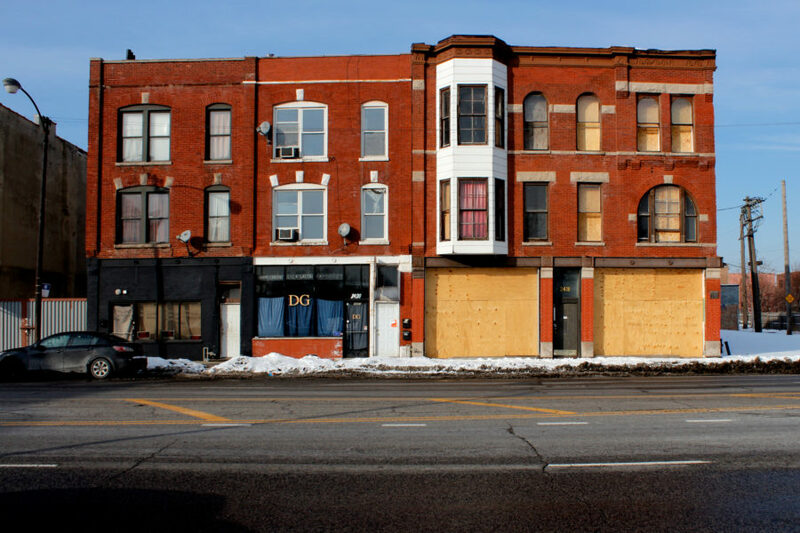 During this time, the City of Chicago notified the Social Turners of plans to condemn their building at Belmont and Paulina (above) in order to build a parking facility. 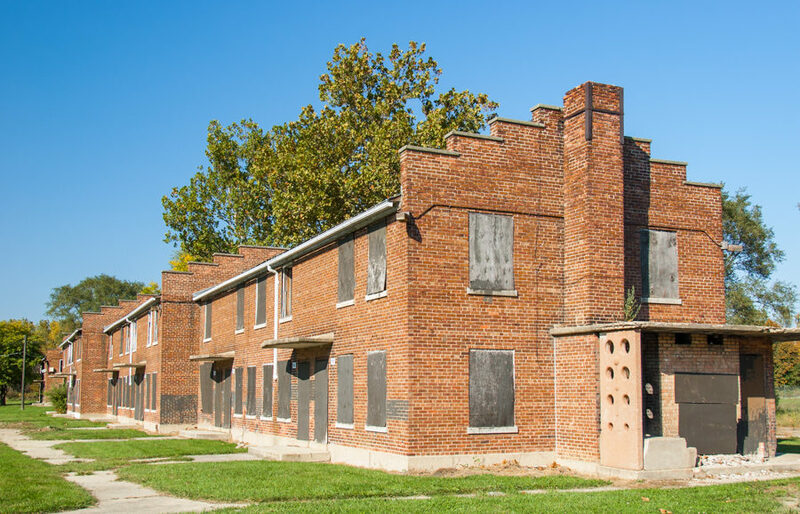 In the same year, the Forward, Social, and Swiss Turners officially merged and became American Turners-Northwest Chicago, holding their first meeting at the Social Turner Hall which would soon be demolished. 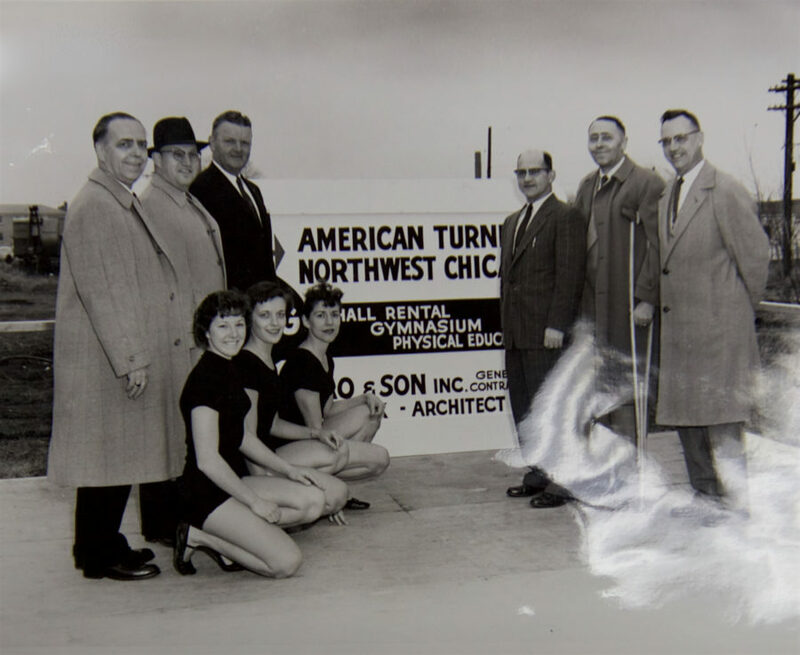 The newly formed American Turners – Northwest Chicago purchased land at Belmont and Natoma in 1956, building a modern facility to host events, gymnastics, and various social gatherings. 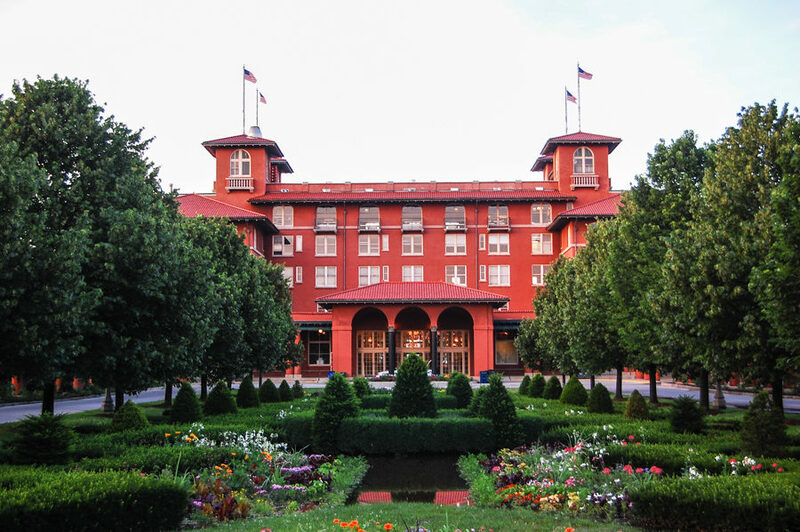 Like most social organizations, the Turners sought a revenue stream for the building and other operational expenses. The Northwest Turners achieved this by incorporating a large bowling alley into the facility. The 1960s and 1970s were the golden era of professional bowling, and revenue from the bowling alley was initially successful at subsidizing operations for the Northwest Turners. Unfortunately, the midcentury modern building with low ceilings wasn’t well suited for banquet halls or wedding receptions, limiting the use of the space for other purposes. 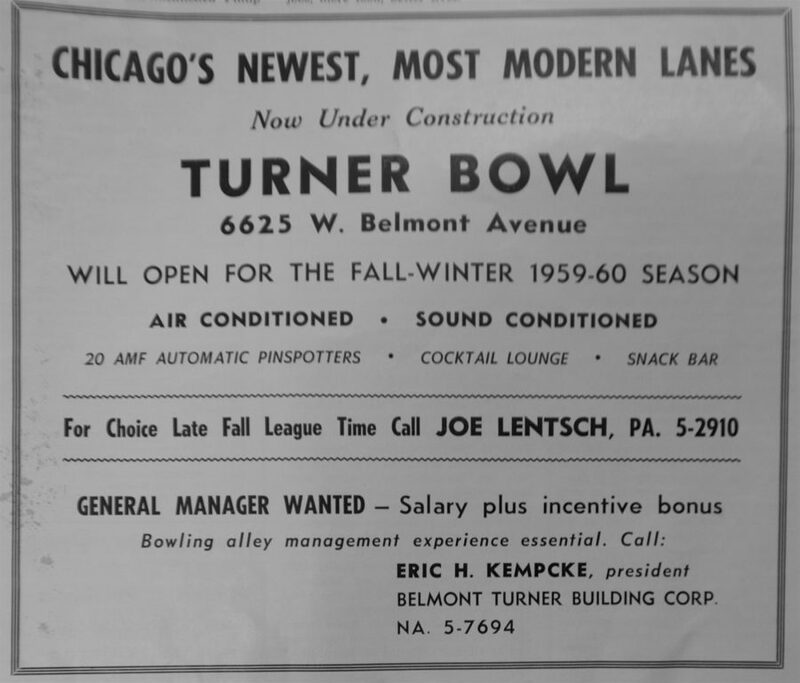 Coupled with the sharp decline in bowling as professional and hobby sport in the 1980s and 1990s, the Turners were left without their once-thriving revenue stream. The Turners later ran a weekly bingo game to fund operations, which was successful for a while. 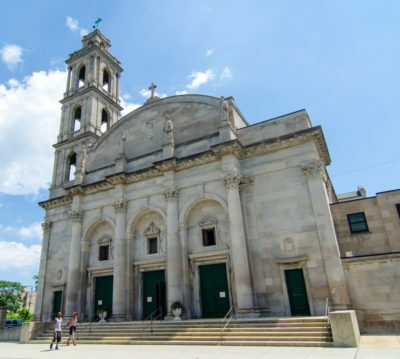 But with few revenue-generating events and an aging building with increasingly high maintenance and repair costs, keeping the building functional became on overwhelming challenge. The Northwest Turners sold the building at Belmont and Natoma in 2005. It was later demolished and replaced with residential buildings. Whenever a social organization leaves a neighborhood building that served generations of people, the impact is deep. The new Turner Hall near O’Hare in Schiller Park wasn’t far from the previous location, but far enough to lose some members and effectively end a few lifelong friendships that formed around a common place. 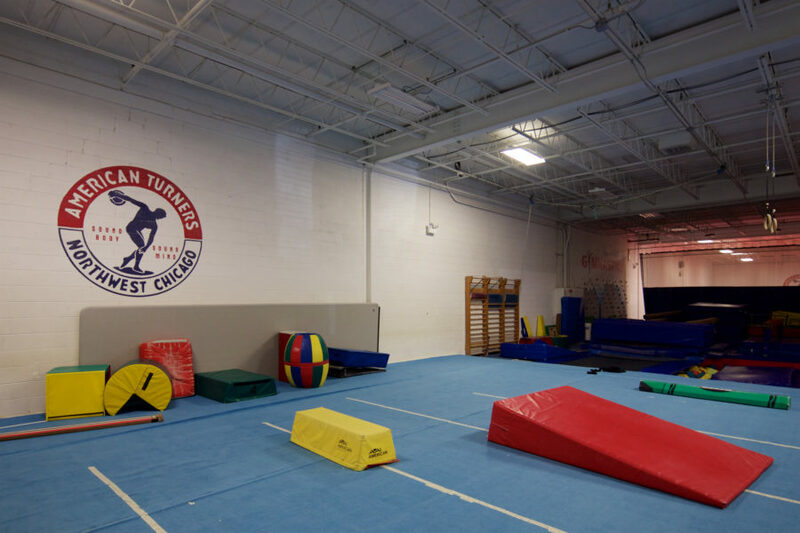 Despite the strife and difficulty associated with losing a meeting place, Northwest Turners kept the gymnastics program and evolved with changing times, as well as strengthen ties to other Illinois Turner Societies. Though the Northwest Turners have relocated and rebranded a few times over the course of their 156-year history in Chicago, the organization remains committed to many of the same ideologies that date to its founding. 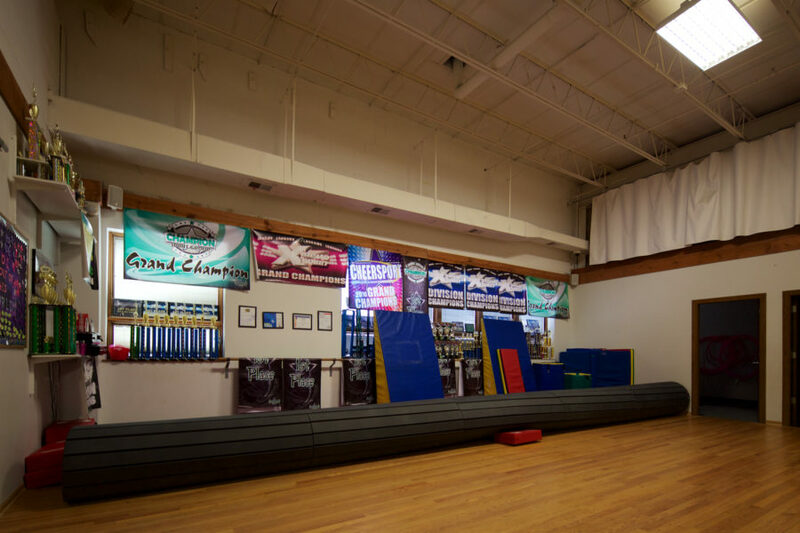 The facility in Schiller Park hosts cheerleading class programs, and has a gymnastics team which recently won a series of medals a the Illinois State Gymnastics Championship. The Northwest Turners are also active in the now 102-year old Turner Camp, which today features a bar, restaurant, pool, and continuing education and physical fitness programs. For more information on the Northwest Turners or to become a member, you can find more information on their web site or Facebook page. 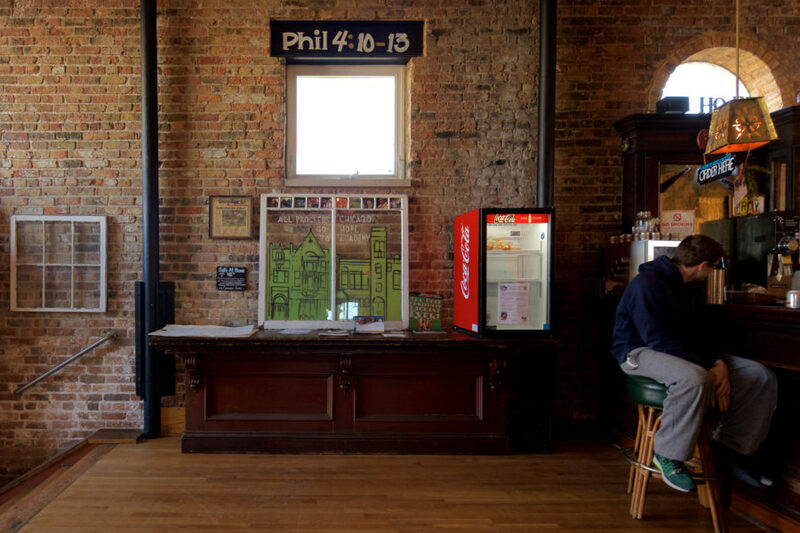 Today, the former Turner Hall is home to Hope Cafe, a coffee shop and event space that serves small plates. It’s run by Chicago Hope Academy, and proceeds from the business further their education and community outreach efforts. 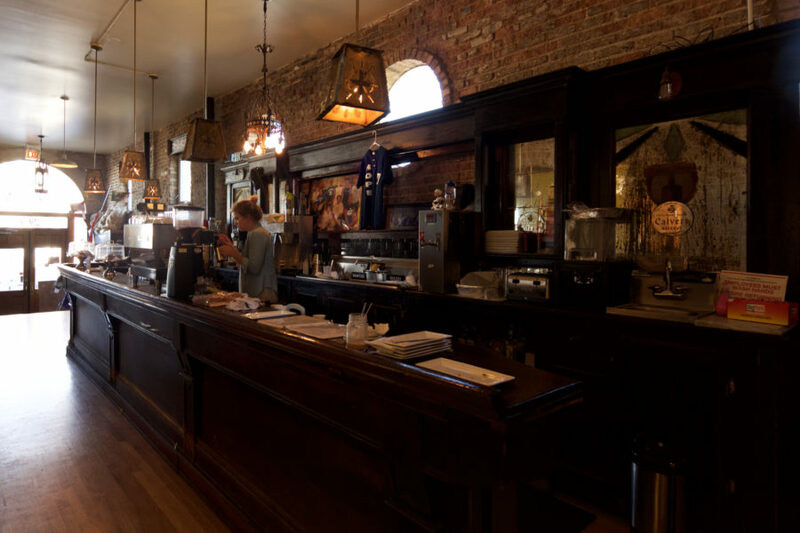 We are more than just a coffee shop. We seek to be a positive outreach within our neighborhood and community. Every cup of coffee and fresh baked pastry financially supports the diverse student body at Chicago Hope Academy. The majority of the student body is from low-income families, and many will be first-generation college students. Take a trip to Roosevelt and Western to get some coffee or small plates with a large helping of Chicago history. 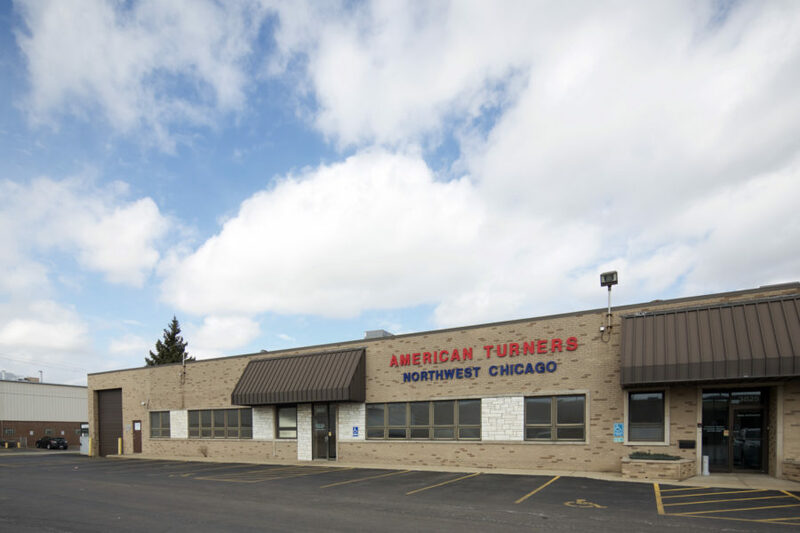 Special thanks to Nicholas Barts of American Turners-Northwest Chicago for assistance in providing historic and current information on the American Turners. 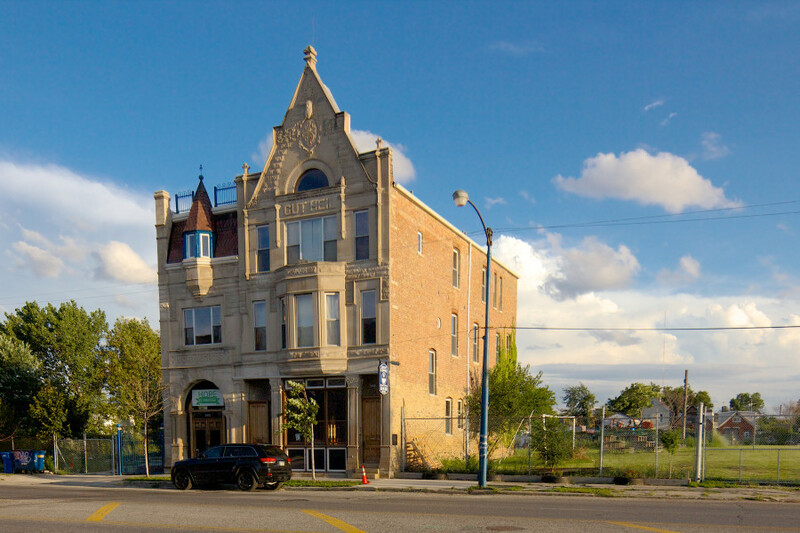 Little did I know when I began reading about the history of this Turners building that I would discover, at the end of the article, that the original building now houses Hope Café which is run by my grandson’s high school, Chicago Hope Academy. Very interesting! Janet, one of my favorite parts of history is looking at how the past connects with the present. It’s great your family is part of such a great organization (Chicago Hope Academy). Thanks again for sharing your thoughts and being a part of our community and discovering the hidden history of our built environment. There was also a Turner Hall at Diversey/Sheffield, which I believe was still operating as such when it was sold and remodeled as a…gym. When I lived on the north side in the late 1990s, the Lincoln Turners building had been taken over by Lincoln Park Athletic Club, but still had the Turners logo painted on the top of the east exterior wall of the gymnasium. The sign is now covered over by the rock climbing wall. Fortunately I took photos of the sign, which I need to dig out of my archives and post online. Originally, this article outlined the history of the Lincoln Turners as well as the Forward/Northwest Turners, but the history of each was too deep for a single article. I’m currently working on the article about the Lincoln Turners and other Turner Societies, as well as similar groups including Sokols (Bohemians), Falcons (Polish), Doms (Croats). 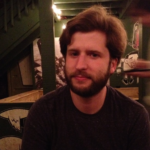 Pete, I’d love to see the photo you took, and feature it in the next article. This article reminds me of the Czech Sokol organizations. Some of which still stand and operate in the Chicago area. I think a few still stand within the city limits too. As a member of the Czech community, I was always at a Sokol hall for some event or other but I was never personally a member. I have some older Czech publications that mention the Sokol halls. I came across this article while researching Lincoln Turners Hall. Does anyone know when the Hall was built? I have gotten as far as finding out the Turners moved there in 1887, but not much more than that. Great article, John. The Sanborn Fire Map of Lincoln Park shows a La Salle Turner Hall at Larrabee and Dickens (then Garfield). Any information or photos would be appreciated. Just purchased a programme for a reunion and ball held by Battery D, 1st Illinois Artillery at the Lincoln Turner Hall. Event was held evening of 29 December 1900. Does anyone have a picture of the Lincoln Turner Hall at that time? Thanks in advance. Have you completed your research on Lincoln Turners? Please let me know, we are focusing on their impact in the Lincoln Park/Lakeview neighborhoods over time. Thank you for such a great read! Not relevant to Lincoln turners but we grew up going to Chicago Turners on Lincoln Ave in the 50’s and 60’s . My older sisters were junior counselors at turner camp and I remember getting up to do calisthenics on the A field early in the am. Also traveling to different turner halls for meets! Our hall had a ballroom upstairs for our Christmas shows and my older sisters wedding reception was there. I recall doing a show at soldiers field one year… great memories! Just thinking about doing the Shottish dance at the Rathskellar 😊. 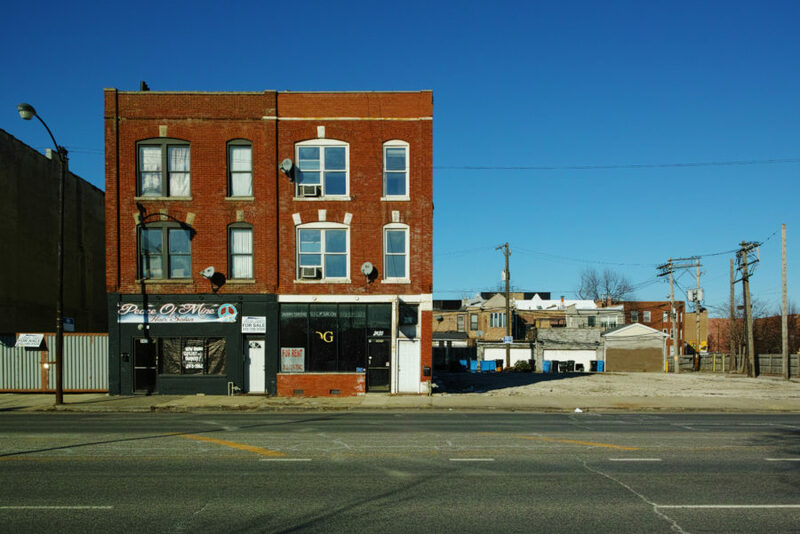 Neglected to mention Chicago Turners which was located on north Lincoln Avenue, near Bertau (south of Montrose, north of Irving). 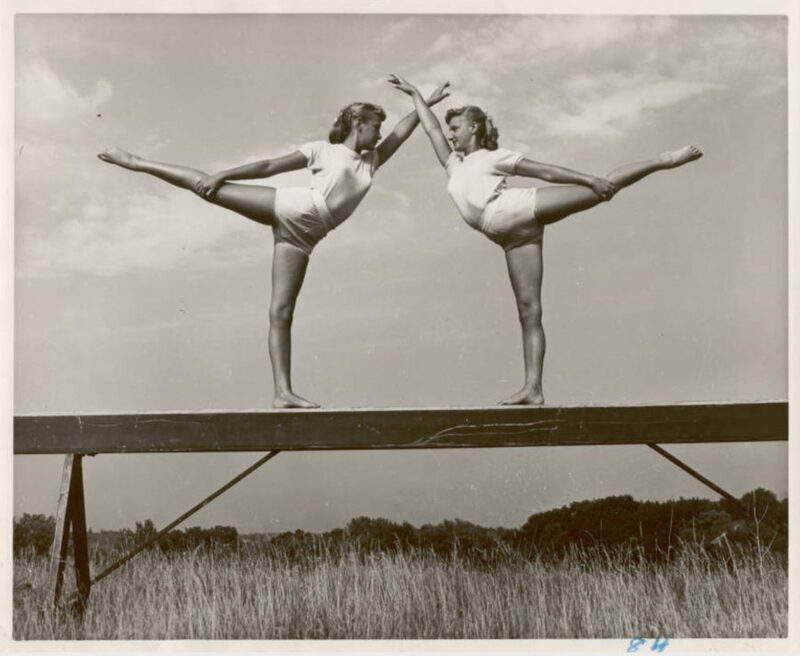 In the 1950’s my sisters and I took gymnastics classes there; mom went to calisthenics. A lady played the piano to set the cadence when we warmed up walking/running around the gym. We also went to hoiiday festivities upstairs, and learned to polka and schottische.